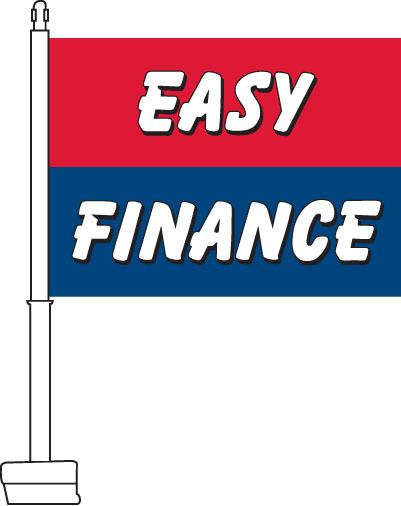 Our Easy Finance Car Flags are split into two with an upper red field emblazoned with bold white text that reads "Easy" and a lower blue field with the word "Finance" printed in bold white letters. 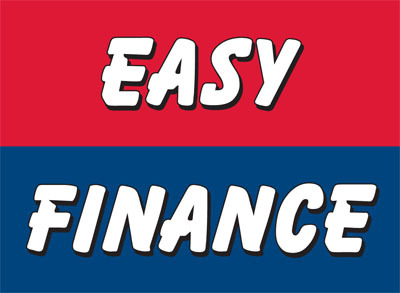 This flag is ideal for car dealerships seeking to highlight the fact that they provide easy financing to their customers. This flag can be used to highlight a specific vehicle or an entire lot of vehicles with easy financing options. 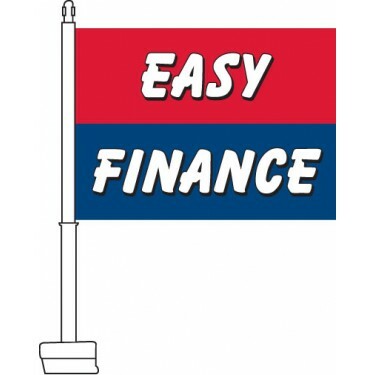 If you want a striking flag to promote your easy financing options, then this is the perfect choice.